At what grade level did you start Palmetto Christian Academy? I started at Palmetto Christian Academy as a freshman in high school, at the start of my 9th grade year. I have been a student at PCA for the last four years now! Are you involved in extracurricular activities? If so, what are they and have you received awards in these activities? I have been involved in the National Honor Society, Future Business Leaders of America, the Worship Team, the Science Club, and the Girls Varsity Golf Team. For the Future Business Leaders of America, I have competed at the National Competition for 3 Years, I won first in all my events at the District Competition for 3 years, and enjoyed serving as the Chapter Secretary of the PCA FBLA team. I also served as the Co-Captain of the Girls Varsity Golf Team, and I have had a lot of fun leading the PCA Science Club as President for its first official year. PCA presented me with so many fun extracurricular opportunities, and I have enjoyed being a part of each one! I plan to attend Clemson University in the Fall to obtain a Bachelor's Degree in Mechanical Engineering. In the future, I would like to possibly work for Boeing, or I would like to work for NASA's Jet Propulsion Laboratory or the Mars Science Laboratory. If your college or university has released scholarship recipients, have you received scholarship money? I have received the South Carolina LIFE Scholarship! How has PCA made a difference in, or impacted your life? 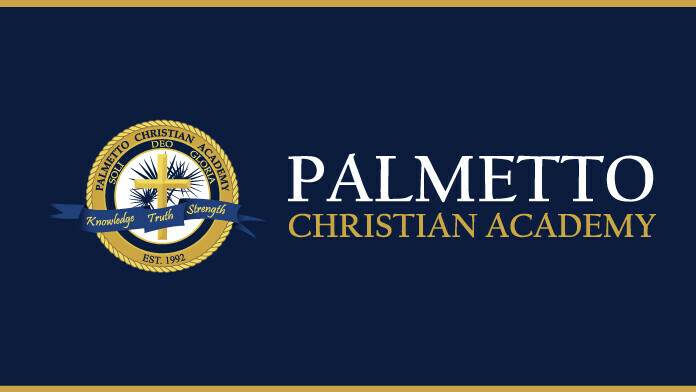 Do you feel that Palmetto Christian Academy has prepared you for life after graduation? Palmetto Christian Academy has well and truly been the biggest thing that has ever happened to me. Over the last four years, I have had the incredible opportunity to grow and flourish in my relationship and understanding of the Lord in a supportive environment. I have also been able to build great relationships with good people and it has been a learning experience that has allowed me to step out and do things I would have never dreamt about. I have been able to push boundaries and develop in so many aspects, including leadership. Palmetto Christian Academy has greatly contributed to who I have become today, and I will take everything I have learned here with me as I embark on the next chapter in my life. I want to thank all the kind people who have generously invested their time and energy into me over the course of the last four years. I will never forget how PCA has contributed to my life, and I am excited to see how my preparations for college here at PCA come to fruition! These students have lived, learned and grown with us here at PCA. Let's celebrate together what God has in store for their future.